Some districts require paper forms for studnets permanent records. Here are instructions for the pages to print from the Genius system to match the state OLL Supplemental Enroll Form. Log in to the Genius system. If you prefer reports in csv format, please contact the NSO office. Reports can be set up to send automatically by week or month. Printable Handout/Flyer to give to students and parents/guardians. Often it’s handy to be able to give a student a flyer so they can take information with them, or bring something home to parents and guardians. 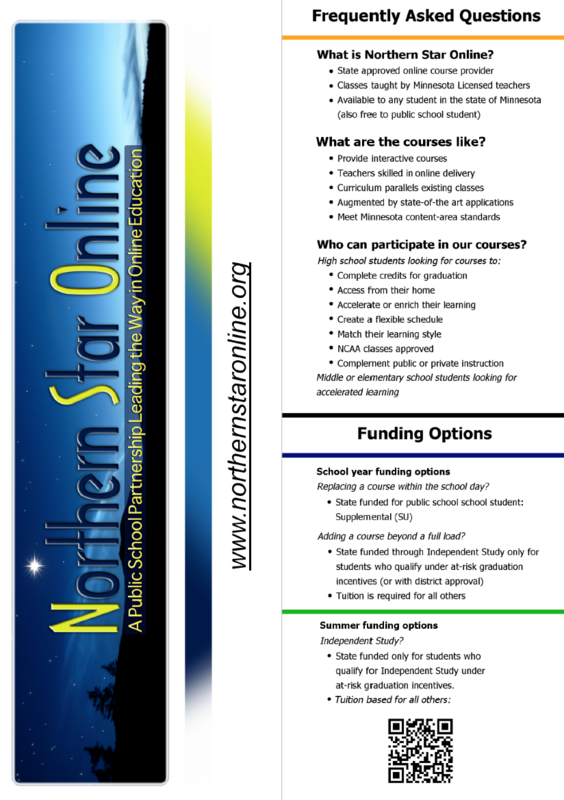 This PDF flyer has basic information as well as links to the Norther Star Online site. It prints to 8.5″ by 11″ paper. Just click, download, and print.